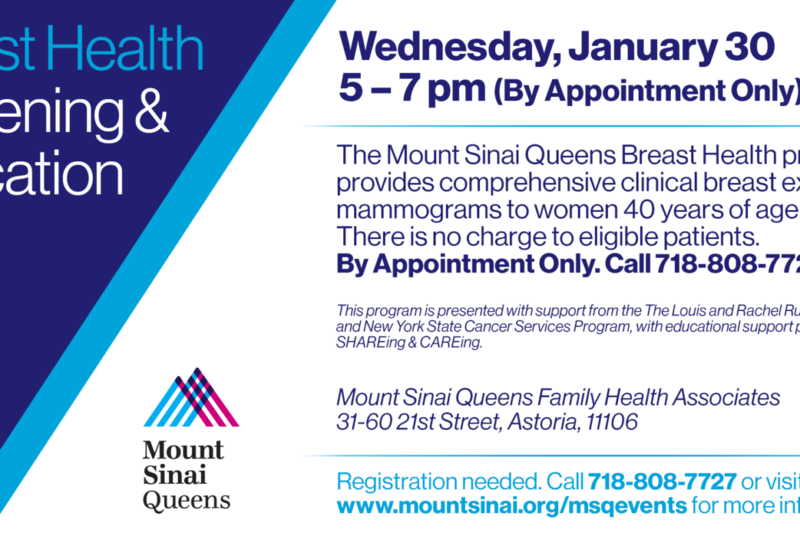 The Mount Sinai Queens Breast Health program provides comprehensive clinical breast exams and mammograms to women 40 years of age and older. There is no charge to eligible patients. The program is presented with support from The Louis and Rachel Rudin Foundation, Inc., with educational support provided by SHAREing & CAREing. By appointment only. Call 718-808-7727. No walk-ins accepted.